Piclo is a revolutionary online energy marketplace that is democratising access to local energy markets. Piclo is lowering barriers for individuals, communities and businesses with solar panels and batteries to trade peer-to-peer and provide balancing services to the local electricity grid. As a result, Piclo is helping solve one of the biggest barriers facing the global energy system today: how to connect more renewables and electric vehicles to the grid without sacrificing cost, efficiency or resilience. 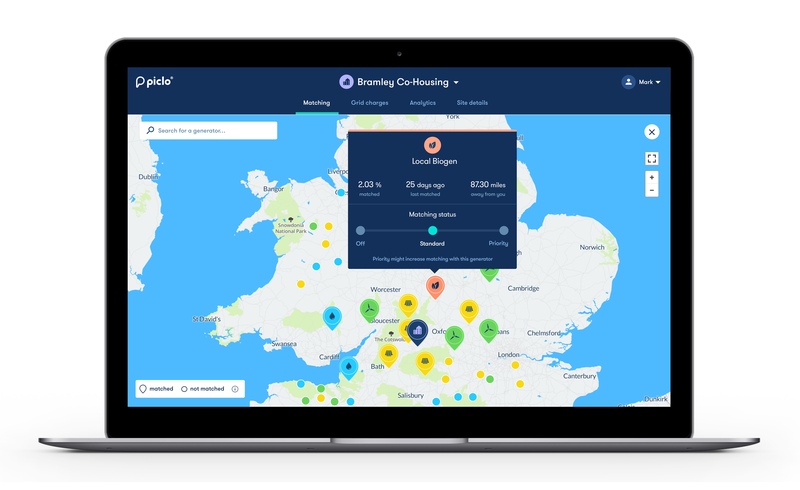 Piclo is a match-making service for local energy markets. Just as Airbnb matches customers with the most relevant short-term rentals, Piclo matches customers with the energy produced by their neighbour’s solar panels. Piclo also enables the distribution network operators (DNOs) to participate by placing bids for “demand flexibility” in congested parts of their network and reward customers accordingly. The electricity system is very complex with multiple different actors and needs; Piclo helps simplify and standardise all local trading opportunities whether they are peer-to-peer or directly with the DNO. Piclo launched in 2015 and was delivered in partnership with electricity supplier Good Energy. It was supported by a £310,000 Energy Entrepreneurs Fund grant from the UK government’s Department of Energy and Climate Change. Following a successful regional trial in Cornwall, the service was commercialised and rolled out across the UK. Further international roll-outs followed with Edoardio Raffinerie Garrone (ERG) in Italy and Essent in Netherlands. The second phase of the project was initiated in 2017 through a further £412,000 UK government grant. It involved engaging with local Distribution Network Operators to unlock the financial benefits of local trading. Piclo is working with these operators to set up flexible capacity contracts for customers with batteries, demand response technology or electric vehicles, so they can manage grid congestion more effectively. Peer-to-peer marketplace technology removes barriers to a decarbonised and decentralised energy system. It provides a scalable means to connect everything to the grid without compromising on cost, reward or resilience. This technology has the potential to disrupt centralised and manual market mechanisms designed for traditional energy companies and traders, and replace it with distributed and algorithmic trading mechanisms that unlock direct participation from customers. The $2.2 trillion global electricity system is going through a transformation and peer-to-peer trading will underpin all energy exchange in the future: helping propel us towards a fully renewable and decentralised energy economy.